MAY 15, 2015 DUNCANPUTMAN.COM MEMBER AREA UPDATE! Added 1991 Indianapolis 500 Gallery 1. This gallery contains 31 various images taken during the Month of May at the Indianapolis Motor Speedway and photos taken on race day during the 75th Running of the Greatest Spectacle in Racing! 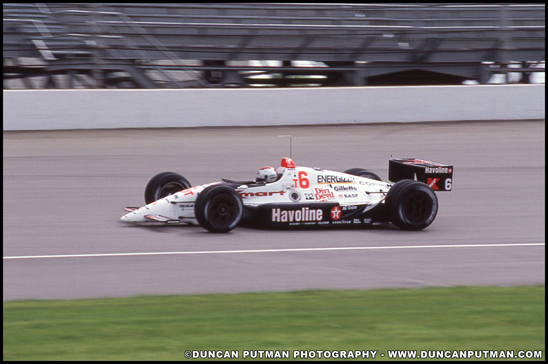 PHOTO CAPTION: Mario Andretti on track in 1991 at the Indianapolis Motor Speedway in his Newman-Haas Racing #6T Lola/Chevrolet IndyCar.